Flightfloor® Eco for GFRP laminates. The new TPU non-textile floor covering for permanent lamination onto GFRP. 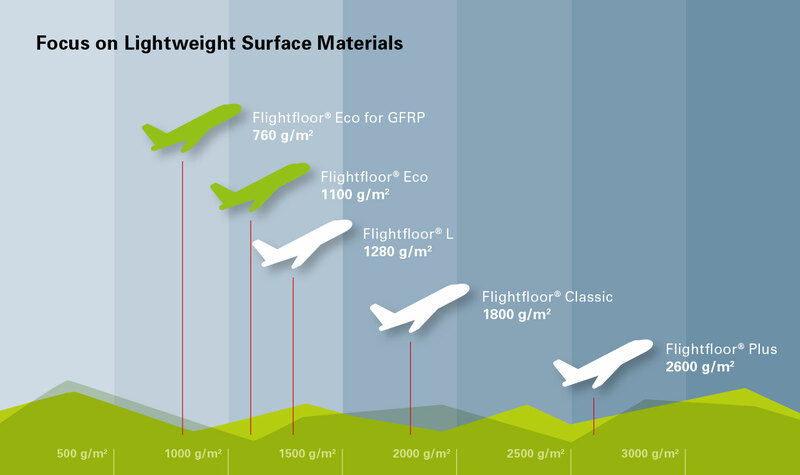 Flightfloor® Eco for GFRP is extremely thin and lightweight, wear-resistant and halogen-free. The product now allow for even greater design scope and is suitable not only for aircraft requirements but for a large number of other areas, too.